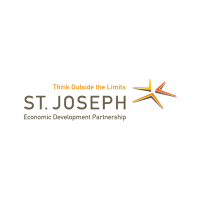 There’s no other city in the Midwest offering resources like St. Joseph. Our metropolitan area is known for its skilled manufacturing and quality workforce, including global accolades for our role in the Agricultural Research Triangle, all conveniently located just 35 minutes from Kansas City International Airport and at the crossroads of major interstate highways. We offer all the best of a thriving business climate, while capturing the spirit of a unique, Midwestern community and the economic energy of the multi-county, multi-billion dollar Northwest Missouri region. Recent expansions from global leaders, including a $160 million investment from Boehringer Ingelheim Vetmedica Inc., demonstrate why St. Joseph is a top choice among Midwestern cities.